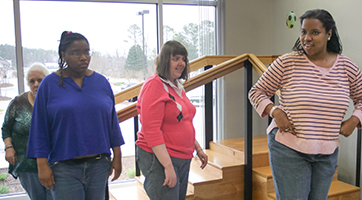 At Ability Plus, our mission is Enabling Lives & Dreams... Ability Plus offers a community-inclusive home environment to individuals with intellectual disabilities. Ability Plus is seeking people who are enthusiastic, caring, capable and want to make a positive difference for residents and care recipients. We offer a supportive team environment and career development opportunities. Direct Care Staff provide personal care to individuals with intellectual disabilities in a residential setting. Duties include but are not limited to: assisting residents with personal hygiene, daily living activities, documenting behavior and assisting with medications. ALL applicants must present a high school diploma/GED, Valid Driver's License, proof of valid auto insurance and successfully complete the E-Verify process. All Applicants MUST PASS a drug test, background check, TB test and have a clean driving record. Benefits available for full time (40hr) employees after 90 days. We are seeking Direct Care Staff for ALL SHIFTS. This is a great way to enter the healthcare world! The Direct Care Staff is responsible for the care, training and supervision as required of individuals with intellectual disabilities. · Converses with residents to reinforce positive behaviors and promote social interaction. · Prepares/serves meals and eats with residents. · Include residents in community outings and promote community inclusion. · Accompanies residents on shopping trips and counsels residents in purchase of personal items. · May give medications as prescribed by a doctor. · May train parents or guardians in care of deinstitutionalized residents. · Maintain and submit accurate timesheets and communication logs, etc. · Carry out direction given by line of management. · Valid U.S. driver's license and acceptable driving record as determined by Ability Plus' insurance carrier. · Ability to communicate, write and prepare complete, concise and clear reports. · Ability to perform housekeeping duties. · Ability to intervene during crisis situations. · Adequate vision and hearing to be able to supervise clients as required. · Ability to remain awake, aware and alert during working hours and work independently. · Working conditions are normal for a home health care environment. · Work may require ongoing weekend and evening work. · Work will require frequent local driving. · Work requires ongoing interaction with intellectually disabled clients. AbilityPlus is an equal opportunity employer committed to providing its staff with a safe working environment and a workplace that is free of harassment and discrimination.